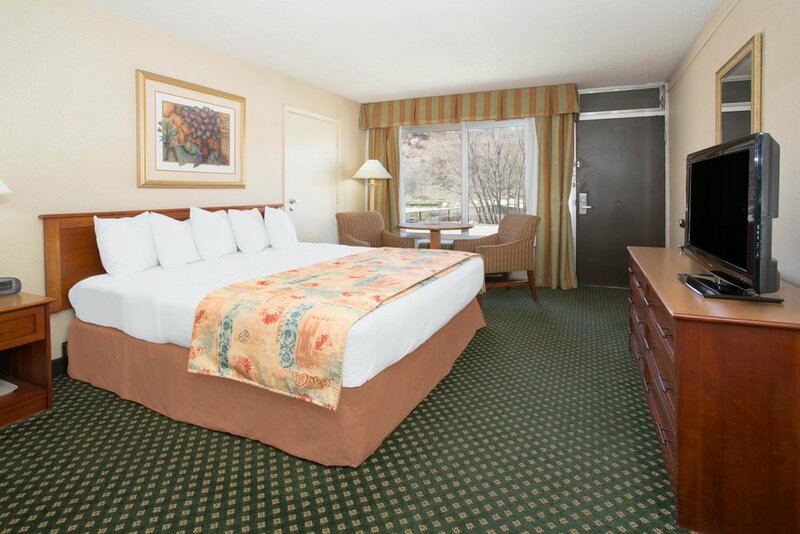 With two extended double beds, table and chairs, iron and ironing board, in-room coffee and coffee maker, and a blow dryer, our recently updated double bedded rooms with all new plush carpeting will have you set for your next family vacation or group travel to Durango. A micro-refrigerator is available upon request for a one-time fee of $20. Similar to our double bedded rooms and also recently updated with all new plush carpeting, the rooms have all the same features of table and chairs, iron and ironing board, in-room coffee and coffee maker, and a blow dryer. They also feature an easy chair with accompanying ottoman for added comfort. A micro-refrigerator is available upon request for a one-time fee of $20. Make us your choice for your next Durango vacation!